Allergy skin testing: We give prick tests and intradermal skin tests to provide information about your allergic profile in as little as 15 minutes. We can also use patch testing to check for contact dermatitis allergies. Allergy Shots (Immunotherapy): Immunotherapy works on a similar principle as vaccines. Patients are injected with increasing amounts of a specific allergen, and over time the body gains a tolerance to that allergen and stops producing an immune response when confronted with it. 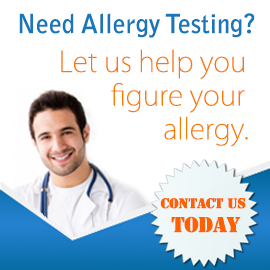 Food allergy testing: Prick tests and blood tests can be performed in our office. These tests can provide useful information, but are not always definitive. We may also recommend trial elimination diets to help pinpoint the cause of your food allergies. Medication allergy testing: Medication allergies can be quite dangerous, especially if they result in anaphylaxis. We can check for medication allergies by providing a thorough exam along with blood tests or skin tests. Pulmonary function testing: We can measure your lung capacity and lung function to diagnose allergic asthma, or perform monitoring tests to check the effectiveness of your asthma medications. Rhinoscopy: This test allows us to view the interior of your nasal passages, where your sinuses drain into your nose, and the back of your throat and vocal cords. Flu shots: Because individuals with asthma or immune deficiency are at particular risk of complications from influenza, we offer flu shots as a preventative measure to safeguard your health. XOLAIR injections: We can prescribe this medication to patients suffering from severe allergic asthma or chronic hives that are not responsive to antihistamines. Immunoglobulin replacement therapy: We work with your pharmacy to provide intravenous or subcutaneous immunoglobulin replacement therapy to treat certain primary immune deficiencies. 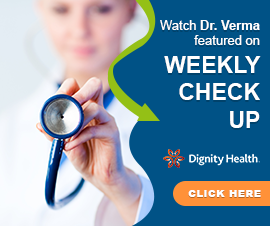 We have three convenient locations and four expert physicians to serve you. Give us a call at 805-658-9500 and we will make every effort to get you in for a regular appointment as quickly as possible. We can also provide emergency appointments to meet immediate needs.